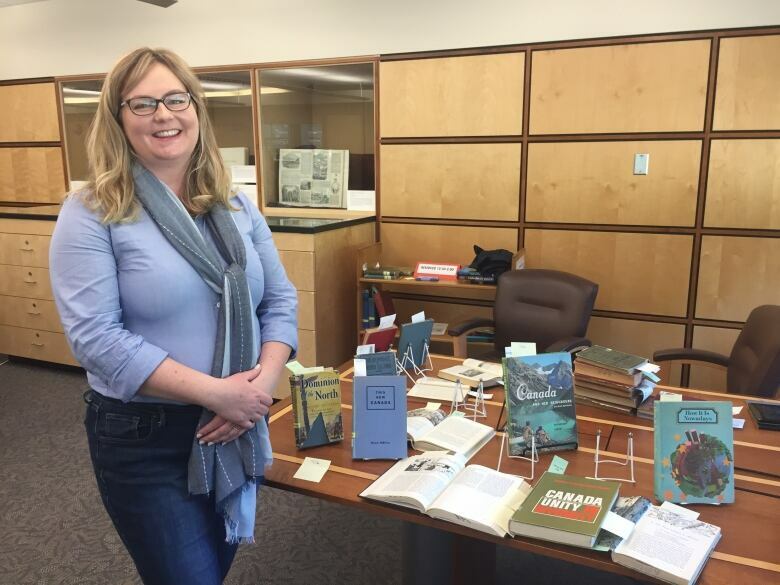 Pia Russell does her work and research deep in archives of the library at the University of Victoria but is making sure that the legacy of prejudice she’s uncovering in old school textbooks is not forgotten. Pia Russell does her work and research deep in the archives of the library at the University of Victoria — but is making sure that the legacy of prejudice she's uncovering in old school textbooks is not forgotten. Russell, a subject librarian at UVic's McPherson Library who is responsible for Indigenous studies, has started creating a digital collection of historical textbooks used in B.C. schools since 1866. "There is a real public interest in these textbooks," she said. "Textbooks really are a source, as newspapers are, of societal views throughout history." The views of Indigenous people in those textbooks, which stretch back more than a century, were rarely positive. At best they presented stereotypes, but the images and text often bled over into racist commentary. "There was just this constant dehumanizing of Indigenous people," Russell said. 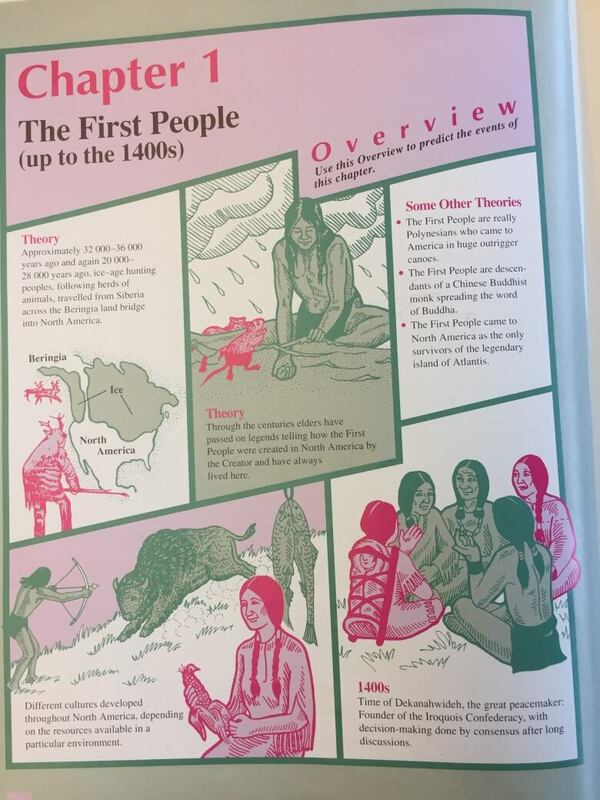 Other Canadian history textbooks completely omitted the culture and perspectives of Indigenous people. Russell has countless examples of derogatory content taught in schools. She went through a few history and geography books, decade by decade. "Learned men tell us that the Indians west of the Rocky Mountains are descended from the inhabitants of the opposite coasts of Alaska or of the islands of the Pacific Ocean but no one has yet discovered certain evidence of this or of how or when they found their way to our shores." 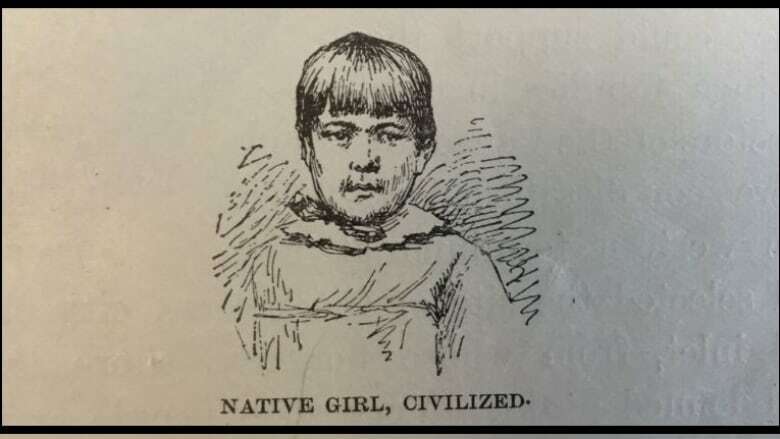 She turned to another page, where an image was captioned: "Native girl, civilized." Skipping ahead to the 1960s was better, but not by much. 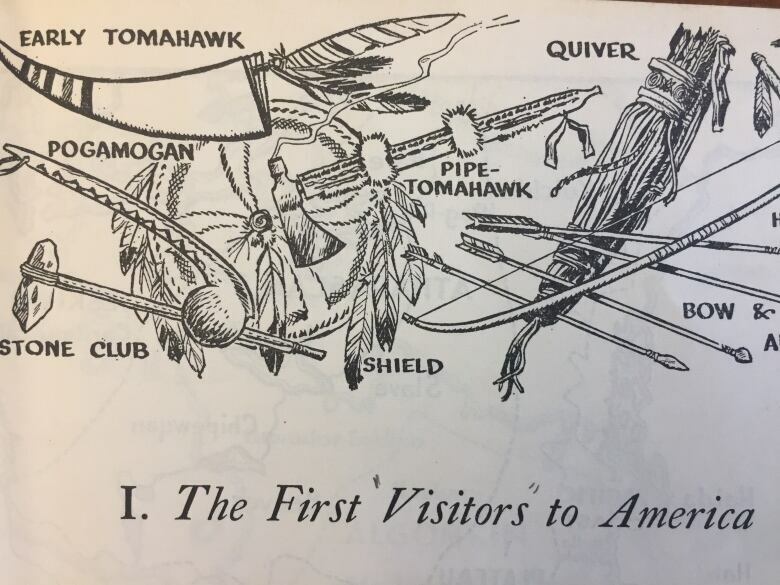 A book called Canada: Unity and Diversity, from 1967, included a section on "The Amerinds," a term for Indigenous people that was rarely used. "Here, they are starting to realize that "savage" carries derogatory connotations," Russell said. By the 1990s and early 2000s, there was a stronger attempt to identify the diversity of Indigenous peoples by naming different nations and including stories of oral history. Many textbooks still portrayed Canada starting around 1900 or with Confederation, though. 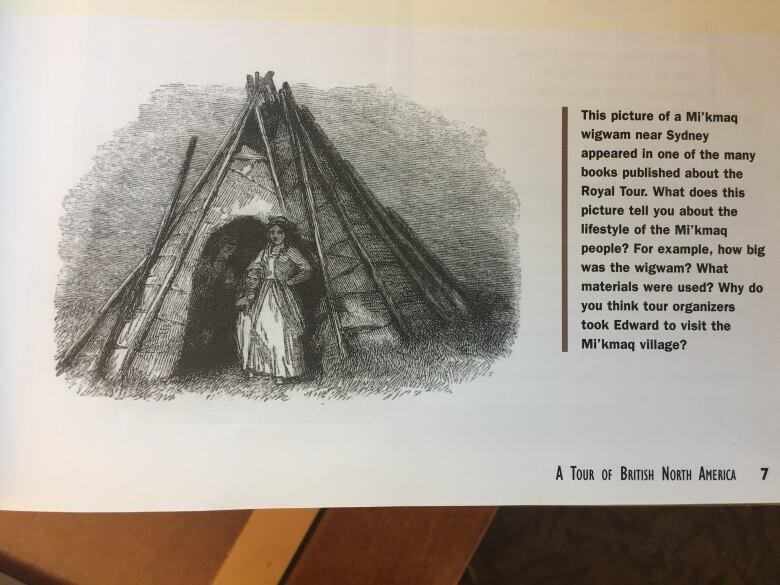 It was around this point that "entire textbooks devoted to Indigenous studies" began to circulate, Russell said, but it was still supplemental curriculum up to the discretion of the teacher. School districts across British Columbia are now embracing a new Indigenous curriculum, mandated by the province, as the new school year starts this fall. But that doesn't mean what was taught will fade away. "If we want to move toward reconciliation, we need to know the truth," she said. "We have these collections and I think we are obligated to share these difficult histories with people in the public."